Many people are not familiar with the name Zebidee, for one reason and one reason only; he refuses to continue singing gun tunes. 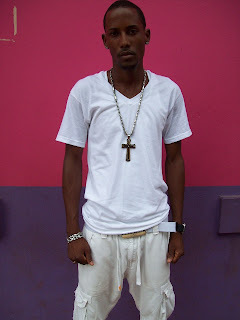 Like many other dancehall artists, Zebidee started out doing nothing but gun music. His fame quickly spread in the streets, which resulted in him being invited to perform at several functions, and stage shows in his hometown of St. Elizabeth. As word started to leak into neighboring parishes, Zebidee began to realize the impact his songs were having on the youths. It was then that he decided to stop creating music that glorifies violence and weapons and began singing both culture and love songs. Shortly after he changed his rhetoric, the promoters and producers that were interested in him began to drift away and the momentum that was building around his name slowly faded. Having a tenacious spirit, Zebidee committed himself to both his career and his new style of writing, which would focus on, clean culture and love songs. Zebidee’s story is by no means unique. There are quite a few artists who share similar experience. Unfortunately, many have surrendered to the negative trappings of the industry. Zebidee on the other hand has risen above it.